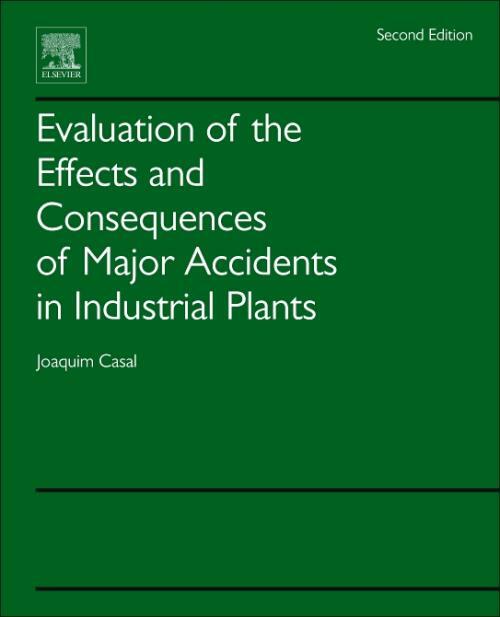 Evaluation of the Effects and Consequences of Major Accidents in Industrial Plants, Second Edition, covers the essential aspects of a diverse range of major accidents including fires, explosions and toxic clouds, and provides the key models necessary to calculate their effects and consequences with applications to real incidents. New topics in this up-to-date edition include dust explosions, evaluation of frequencies and probabilities, domino effect, transportation of hazardous materials, and analysis of significant accidents. The new edition of Evaluation of the Effects and Consequences of Major Accidents in Industrial Plants is a valuable resource to engineers from the chemical/petrochemical industry and those working with the transportation of hazardous materials (by road, rail, or pipelines), in addition to engineering companies and academics alike. Joaquim Casal is Professor of chemical engineering at the Polytechnic University of Catalonia. He has 30 years of experience in the field of quantitative risk analysis both in research and in industrial assessment. Professor Casal has analyzed a number of accidents for court, performed risk analysis for chemical companies and developed research (both theoretical and experimental) on major accidents. Professor Casal has published approximately 150 papers and two books in this field.